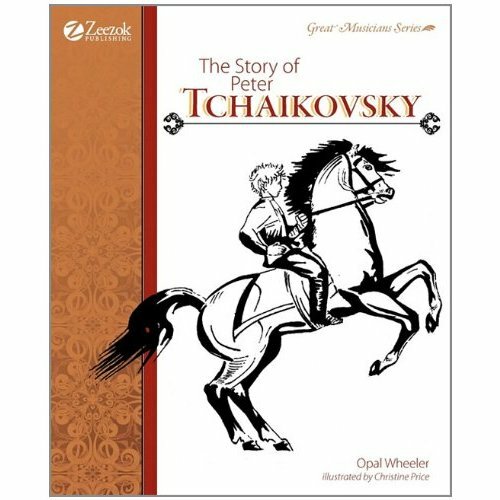 The author sympathetically shows what a nervous, unpredictable child Peter Tchaikovsky was and how his love for music was almost greater than he could bear. He abhorred routine, and as a result, could not bring himself to practice law as an adult, but under the great Anton Rubinstein, he made progress in music. It was early one morning, seated at a table in the deserted dining room of an inn, that he wrote the rough draft of his first symphony. Here is a fascinating picture of Tchaikovsky the brilliant composer and delightful companion. It is perfect for young readers. Sebastian Bach, The Boy of Thuringia is the first complete work on the life of Bach ever written for children. Every important incident is mentioned and every detail of the story is true. This is his story, an inspiring story of Beethoven's achievements against all odds of his growing deafness. Long live Beethoven! shouted the audience. But the master could not hear them, and as a singer turned him gently to face the audience, the noble head bowed low as he saw from the flutter of handkerchiefs, the applause that rained upon him. Johannes Brahms, the frail little son of poor parents, spent the first years of his life in a wretched tenement in the old harbor city of Hamburg. However, little Johannes` love for fine music and for composing finally led to lessons and then to a speedy success. Frederic Chopin, celebrated pianist and probably the greatest composer for the piano the world has ever known, was born in a little cottage in Poland. These 2 books cover his early years and his later years. With clarity and with admirable simplicity, keyed to the understanding of children, Opal Wheeler has traced the many-sided career of George Frederic Handel, whose restless nature vied always with his tremendous ability as a composer and director. This is a simple, inspiring children`s biography of the great musician Haydn. A sensitive, appealing and lively biography of America's beloved composer which boys and girls (all others, too) will take to their hearts and treasure. Mozart, The Wonder Boy presents the musical genius of this child prodigy, the loving family in which he was reared, and the impact he had on the world around him and to generations beyond. 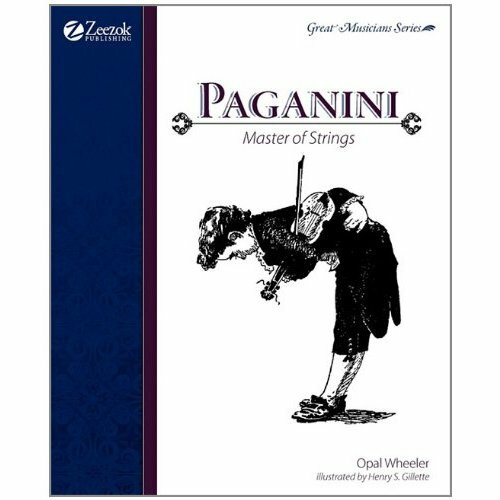 Written with warmth and understanding, the present book on Paganini begins with his unhappy childhood along the wharves in Genoa and carries him straight through the tempestuous years when great genius and poverty waged an endless battle, which genius finally won. This book is about the brilliant young Schubert, his merry friends, and their pranks and escapades, in most of which Franz is the hero. From the time he was a little boy, playing with his beloved cat, Ziff, in his home village in Saxony, until he became the famous composer, friend of Mendelssohn, Chopin, and Liszt, Robert Schumann lived happily and pleasantly. There is much more in this book than the engaging story of the young Stephen Foster, and his never-to-be-forgotten music. In this appealing, sensitive biography of the composer whose folk songs are our common heritage, is told one of the real stories of our own America. 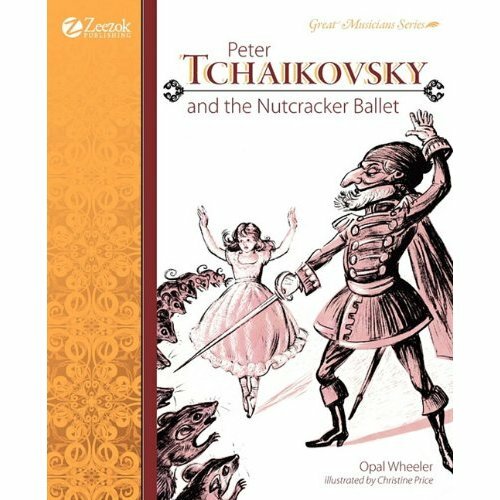 Always enchanted with the world of childhood and far more at ease in it than in the more demanding world of adults, Peter began to write ballets for his sister Alexandra's children. Here is a fascinating picture of Tchaikovsky the brilliant composer and delightful companion. It is perfect for young readers. 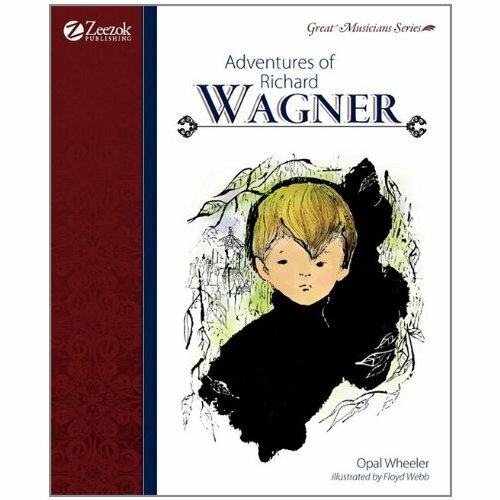 As Opal Wheeler's light-hearted and lively biography reveals, Richard Wagner is an amazing example in music history-one of the few composers of stature who learned his art from the untutored study of the masterpieces of his day.